Jessica and Wyatt got married on Jessica’s parent's farm. Jessica wanted to have a wedding where she felt at home so what better place! 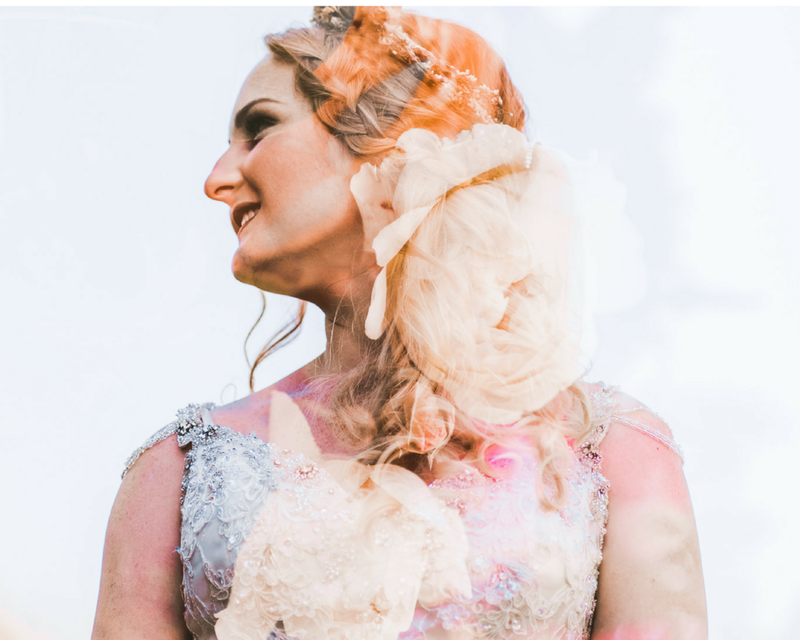 The couple chose a rustic farm boho theme and combined this beautifully as you can see in their stunning images taken by Leftusphoto. The tractor/trailer ride down in anticipation to the big walk down the aisle to marry my handsome husband. I chose the Christina Rossi 6083. I loved it because it came in ivory over gold and the beading was beautiful! FAVOURITE PART OF THE DRESS? The beading hanging from the shoulders. Dee in Hamilton was super supportive and made me feel comfortable. The communication was great and Dee was very good at replying to my emails and questions - she’s perfect. Do not doubt your decisions or be afraid of other people’s opinions about your day; people are there to support you no matter how weird or traditional your day is. GOWN | Astra Bridal Christina Rossi 6083. Beautiful gown and great service. MENS SUITS | Tarocash Hamilton - very prompt in tailoring. HAIR | Bells and Brides - did exactly as what I asked for and was great with the girls too! MAKEUP | Bells and Brides - made me feel beautiful and checked all the boxes. FLOWERS | Miss Daisy Flowershop / The Flower Crate - the most beautiful flowers a bride could ask for. LOCATION | My parent's farm - people can contact me if they wish to have their ceremony there. ENTERTAINMENT | Fireworks and bonfire. CAKE | Sarah Natzke - find her on instagram!! You will not be disappointed. CATERING | Hello India!! Sooo many happy people and full belly’s at the end of the night. PHOTOGRAPHY | Letfusphoto - Melody was amazingly easy to talk to and very good at her job. CELEBRANT | James McConnell is my uncle and got his license to be our celebrant and he was fantastic.